TGIF! This week has been the crazy busy for me, so I am looking forward to doing as little as possible this weekend. Speaking of crazy, has this been the craziest spring weather-wise or what? Seriously! It's in the 80s one day and then frost the next. I feel for my Northern friends who recently got all of that snow. And the pollen, oh the pollen. This wacky weather is doing my skin IN! Luckily, I've got some solutions. I wanted to share my skincare routine for spring in case there are others (I know there are!) out there in the same boat. Dry skin? I got ya covered! I've got some recommendations for oily skin too. I have been a long-time user of CeraVe products. Whenever I get skincare questions, I always recommend them--if you've emailed me about skincare, you know this is true! 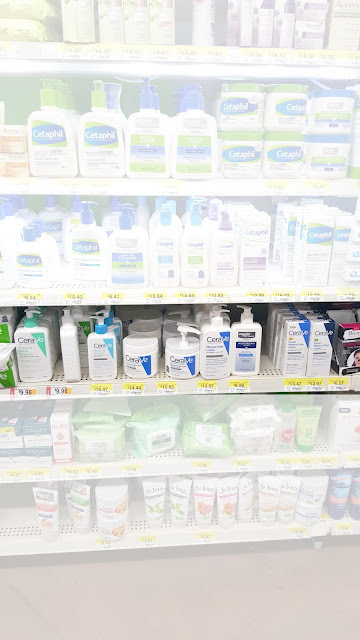 I recently stocked up on CeraVe at Walmart. You can find them in the skincare aisle. I like using CeraVe products because they are non-irritating and fragrance-free. Most are also non-comedogenic too! They help replenish the vital ceramides the skin needs. I can't say enough good things about them. My skincare routine in spring varies on the weather and my plans. I always splash water on my face in the morning and pat it dry. Next, I apply CeraVe AM Facial Moisturizing Lotion. It moisturizes and provides broad spectrum sun protection. Makeup comes next. 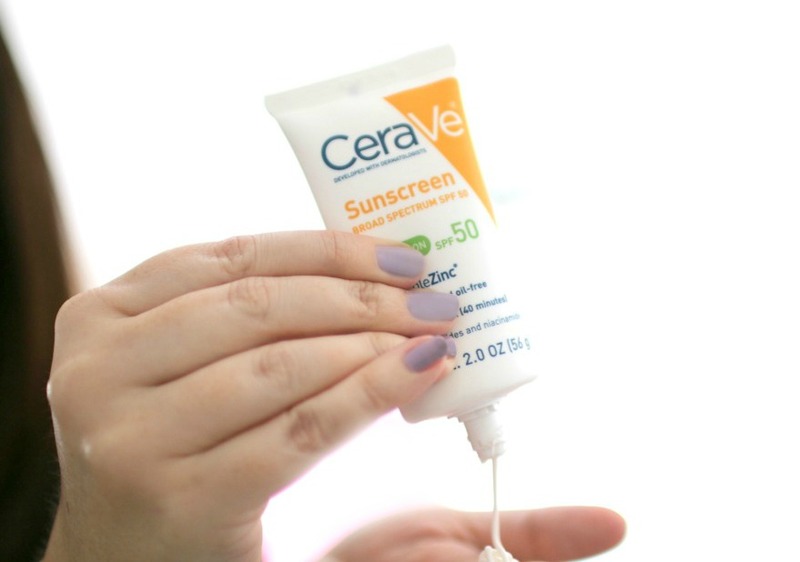 Now on the hot days, and if I know I'm going to be outside a lot (I nanny 6 and 2 yr old girls), I *have* to apply CeraVe Sunscreen Face Lotion SPF 50. This lotion provides broad spectrum, lightweight sun protection plus vital ceramides. At the end of the day, I use CeraVe Hydrating Cleanser. I love it because it removes dirt, oil and makeup as ceramides and hyaluronic acid moisturize, soften, and help repair the skin barrier. I have dry skin and it works so well. On warmer days, or if you have normal to oily skin, I suggest the CeraVe Foaming Facial Cleanser. At night, I use CeraVe Moisturizing Cream. It moisturizes and helps restore the protective skin barrier, with vital ceramides. I usually get the one with the pump. My skin feels soft when I wake up. LOVE! Do you switch up your skincare products in the seasons? Interested in trying out Cerave? Go HERE for a save $2 coupon on any CeraVe! I'm always switching up products and haven't used CeraVe in a long time. I want to try the sunscreen! Thanks for sharing your routine! I don't normally switch up my skincare routine, but I think I need to! My face always gets oily with the warmer weather. I haven't tried their products before. I've long been an Aveeno lover when it comes to face wash & facial lotion. Before that it was St. Ives (before they changed their formula). But if I decide to switch things up, I'll totally look into this line! I swear by the CeraVe moisturizing cream! I use it everywhere! Have a great weekend and get some well deserved rest! I love CeraVe cream too, very light and nice, non greasy feel. Happy weekend gorgeous, I hope it is lovely and relaxing!! The dry conditions where I live have just been awful on my skin - and sadly none of my usual fixes seem to be working - ack! love the lack of fragrance and chemicals. and SPF is a must every day on the face if you ask me! happy friday! We're getting snow tomorrow. Booo!! Interesting products. I need to develop a skin-care routine. I have seen this brand but never tried anything from it. Will keep in mind the sunblock, I hope it doesn't leave me looking like a grease ball. I've heard very good things about CeraVe, and I've been wanting to try this brand! I typically use Cetaphil, but I try to switch up or add products my skin routine. Have a great weekend! Oh gosh the weather has been horrible! It's so up and down like you said. It's been snowing, but last week on Easter it was almost 70! It's doing wonders for my sinuses lol!!! And I've never tried CeraVe products before, but I always see them everywhere! I'd like to try those cleansers you mentioned. I love my cetaphil gentle skin cleanser, but I think it's time for something new. I like it because is doesn't have a lot of ingredients in it. Do you know how the CeraVe ones compare to it? I've never tried any of their products, but I know so many people that swear by them. I need to try out some of their stuff! I'm a Neutrogena gal myself, but this makes me curious about CeraVe. I'm a big fan of the CeraVe Moisturizing Cream especially in the winter. Have a relaxing weekend! I've never tried CeraVe products but I've heard such good things about them, especially for dry skin. I think I'm going to have to try that cleanser and night cream! I've never though to switch my skincare up based on the season but I guess that does make sense! 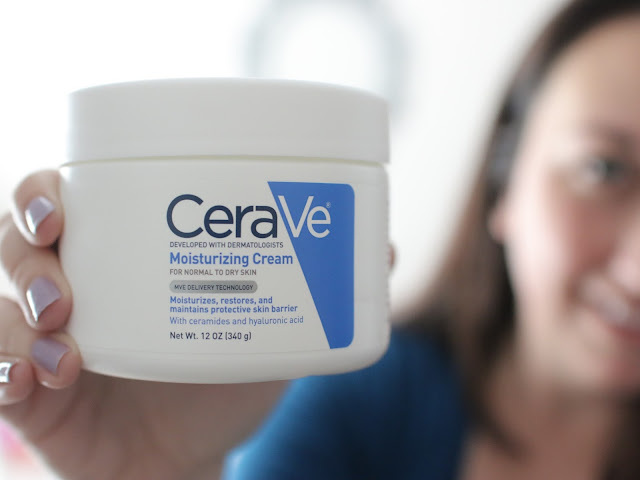 I've also never tried any of CeraVe's products but the moisturizer sounds great for the colder months! I have never heard of this brand before. It seems nice and affordable as well! My little nieces use cerave and I used some of the lotion and loved it! I've never used this brand but I always see it at target! I want to try that sunscreen! I actually have never tried this, but I like the idea of having a face lotion with spf 50. I need to check it out for summer especially! I love CeraVe!!! It is the number one brand that my derm recommends to all of her patients and I have never had any issues with using any of their products. The foaming cleanser stays in my shower no matter what other products I switch out. CeraVe is one of those products I have NEVER used. I don't know why. I do like to use a simple and fuss free face cleanser with my Clarisonic! I've heard such great things about that line! Looks great. I haven't tried any CeraVe, but I think I need to try out some products. My skin has been extra sensitive lately. 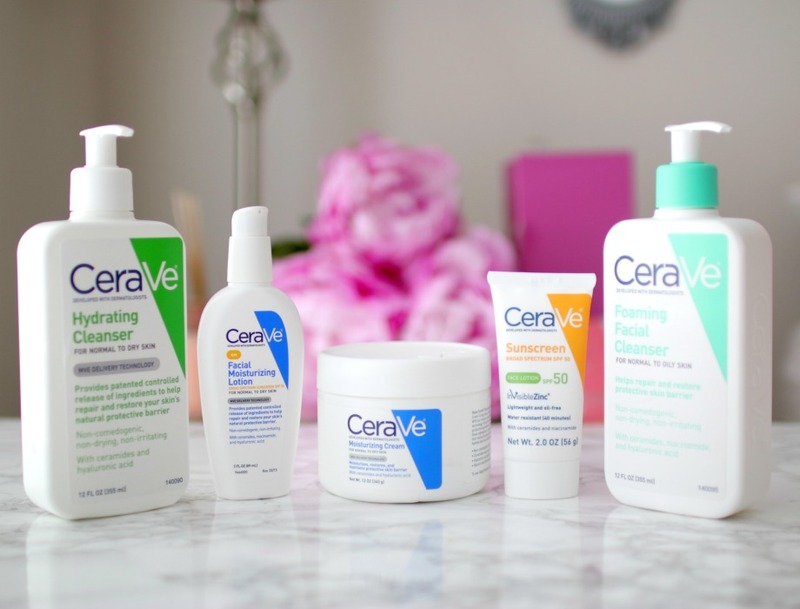 I think CeraVe has a wonderful line a products to choose from and I love that they are good for those with eczema. I just wish they would formulate their products without parabens, which is something I avoid as a personal preference. I must try this! My skin needs help. Ok I may have to try this since this is the second place in as many days that Ive read about it! This weather really has been out of control lately! Hopefully it'll warm up for everybody up north, but not get too warm for us in the south! 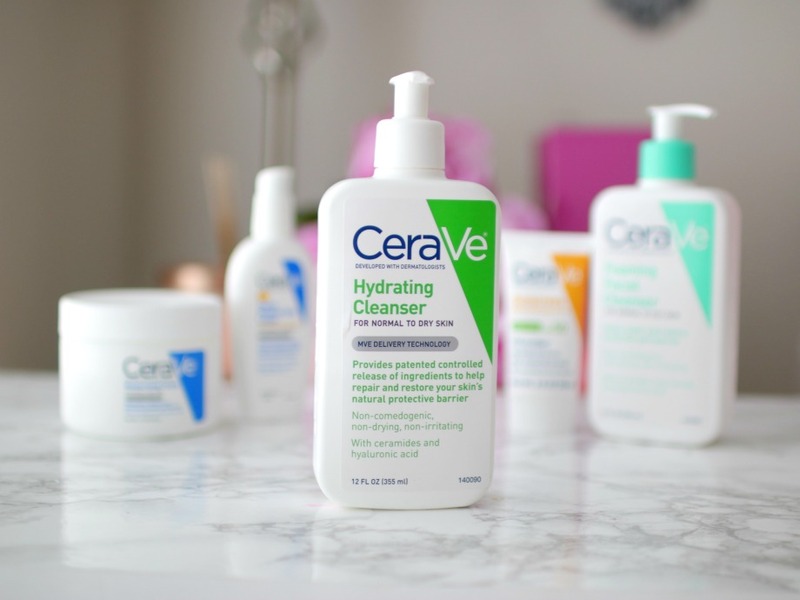 CeraVe sounds like it has some amazing products! I'll definitely have to check them out! I am not sure if CeraVe is available in Germany, I don't think I have ever seen it around. But I do switch my skincare depending on the season and on what I am doing that day as well. I use CereVe for SC (they have a great baby line) but I never thought about using it for me. I will have to start! Hope you have a relaxing weekend! I have never tried this brand but have heard great things! I didn't know about CeraVE, a great review, thank you for sharing. Very informative post. Once you know your skin type and concerns, you need to know what types of products work together and the order in which to use them. Thanks for sharing.